ECOLOGIA SAMMARINESE BREVEMENTE E.S. S.R.L. TITAN PATENTS & TRADEMARKS S.R.L. 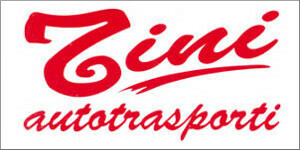 AMMINISTRAZIONE & CONTI BREVEMENTE A. C. S.R.L. CONSULTATIVE BROKER DI ASSITECA-BSA S.R.L. AUTOMOTIVE TECHNICAL SERVICE BREVEMENTE ATS S.R.L. CLASS INTERNATIONAL CONSULTING COMPANY S.R.L. CENTRO DI PREVENZIONE SANITARIA PER LE AZIENDE BREV. C.P. S.R.L. ISTITUTO PER L'INNOVAZIONE DELLA REPUBBLICA DI SAN MARINO IN INGLESE REPUBLIC OF SAN MARINO INNOVATION INSTITUTE BREVEMENTE S S.P.A.
LABORATORI PROTEX BREVEMENTE PROTEX S.P.A.
LSPHARMA (LOGISTICA E SERVIZI) S.R.L. RSM PATENTS & TRADEMARKS S.R.L. 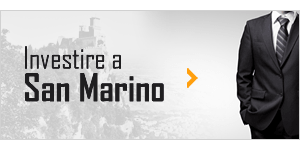 SAN MARINO TECHNICAL CONSULTING & INSPECTION BREVEMENTE SMART CONSULTING S.R.L. SOCIETÀ PER AZIONI "OIKO TRUSTEE" S.P.A.
AB & D AUDIT BUSINESS & DEVELOPMENT SPA IN BREVE AB & D SPA S.P.A.
STUDI E CONSULENZE PROFESSIONALI BREVEMENTE SCP S.R.L. STUDIO GESTIONI BREVEMENTE S.G. S.R.L. T.C.S. 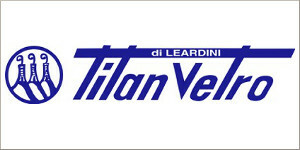 TITAN CONSULENZE E SERVIZI S.R.L. WORLD TRADE CENTER SAN MARINO S.R.L. YGHENOS CONSULENZE E SERVIZI PER L'IMPRESA S.R.L.